THE FACTS: Born in Douglas, Michigan. Bachelor of music degree, Eastman School of Music; student of K. David Van Hoesen. Master’s in bassoon performance, USC School of Music; student of Norman Herzberg. Prior to the Philharmonic: bassoonist, Omaha Symphony, 11 seasons; principal bassoon, Sydney Symphony Orchestra and Buffalo Philharmonic. 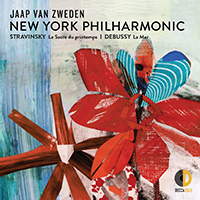 Recorded Stravinsky’s complete Firebird with Edo de Waart and the Sydney Symphony Orchestra. At the Philharmonic: Joined in September 2005.
WHO WAS YOUR MOST IMPORTANT MENTOR? I have had many important mentors in my life, most notably Norman Herzberg, whom I studied with at USC. He was a legend in the bassoon world due to his unswerving devotion to mastering the instrument and training his students the same way. He also happened to study with Simon Kovar, a former bassoonist with the New York Philharmonic. WERE YOU INVOLVED IN ANY EXTRACURRICULAR ACTIVITIES IN HIGH SCHOOL? I ran crosscountry and track until I aspired to be a professional musician. WHAT WOULD YOU BE IF NOT A MUSICIAN? A screenwriter. I’ve actually written a screenplay and have others in mind. WHAT IS THE MOST DIFFICULT ASPECT OF THE BASSOON? Projecting the sound over the orchestra. It has a timbre that is easily swallowed by the strings. MOST MEMORABLE MOMENT WITH THE ORCHESTRA: There have been so many since I joined. Recent ones: playing Mahler’s Third Symphony with Alan Gilbert, and our concerts with Bernard Haitink. WHAT’S IN YOUR CD PLAYER RIGHT NOW? I almost always have a Sinatra CD handy. Right now I’m listening to Sinatra singing Jobim. ARE THERE MUSICIANS IN YOUR FAMILY? My parents both played in high school band. I have an uncle who still plays clarinet and saxophone. My wife is an oboist and my eight-year-old son is taking piano and drum set lessons. WHAT DO YOU LIKE TO DO OUTSIDE OF WORK? Spending time with my family is about all I have time for!